When we think Palma de Mallorca, all that comes to mind is sun, pool days, sangrias and beautiful houses. Although that doesn’t sound much like London or the UK in general (except for the beautiful houses! ), there are other similarities to highlight. The dynamic of property market in Palma and that of most of the Island of Mallorca, for example, is showing increasing signs of other premium locations across the globe. These cities, from New York to London, Barcelona or Paris, share one thing in common: they are premium brands with limited supply, and unlimited international money. In such growing market, Estate Agencies and property owners must be creative and treat the matter with professionalism in order to guarantee good sales. Home Staging has become known in the Spanish market not long ago, but has already shown amazing results and is now in high demand. 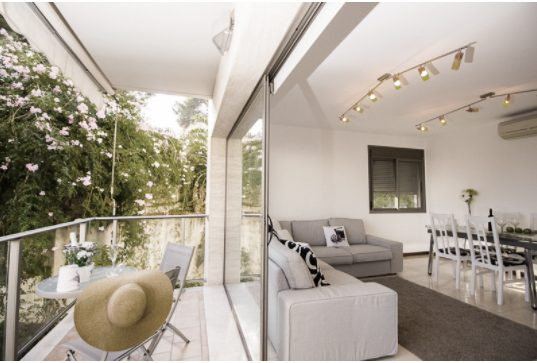 We spoke to Heliana Sastre, owner of Nahe Inmobles in Mallorca, to get a better understanding of how Home Staging works in the island and how she’s been helping property developers and estate agents sell their properties faster and for more money. Home Staging Association: When did you found Nahe Inmobles and where did the idea come from? Heliana Sastre: The company was founded in February 2005. Nahe Inmobles is derived from the family-run business Projectes i Acabats Sastre, which was dedicated to basic refurbishment works only. “Nahe” is a fusion of 2 names but it turns out that it is also a name of a German town with many vineyards. HSA: What services do you offer? Heliana Sastre: I started introducing the Home Staging service in 2013, which was a very difficult year. The difficulty of reaching customers or real estate was indescribable. Our department offers mainly Home Staging for holiday homes, as well as houses for sale and rent. We do interior design projects and events decoration to our main clients, who are usually are Mallorcans with second homes and Estate Agencies. HSA: The property market in Mallorca is booming. Have you notice any increase in the search for Home Staging services? Heliana Sastre: The search for the service is slowly increasing. It is not a new market, since Home Staging has been around for more than 8 years in the island, but with very little promoting. There are many real estate agencies that have never heard of Home Staging and many do not use it because they don’t have exclusive representation of the properties. HSA: Do you see any difference in the Home Staging styles around the world? Heliana Sastre: Absolutely, every country has its peculiarities, habits and architectural culture. Home Staging adapts itself into each country’s style. HSA: What style of décor seems to be the most popular in Mallorcan properties? Heliana Sastre: Mallorcan houses are houses of great character, you have to know how to decorate them to please the maximum number of foreign clients - but without losing this Mallorcan character, the Noretnic touch of styles that have a great final result. HSA: Do you prefer to work on Fincas or beach houses? Why? Heliana Sastre: These are two different areas, I work well in both places. But I am from a hot country so I will always opt for the beach. HSA: Where do you get inspiration from for your projects? Heliana Sastre: From music and the surroundings of the properties.